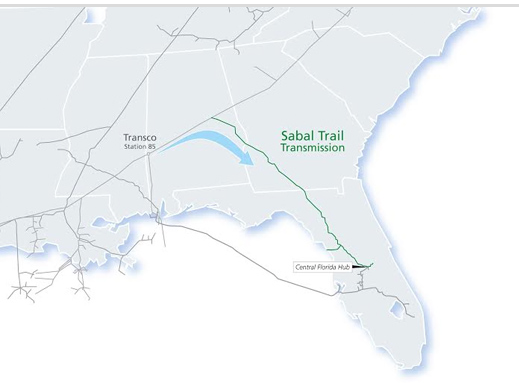 FERC has approved Sabal Trail Transmission, LLC’s request to commence service of the Citrus County Line associated with the Sabal Trail Pipeline Project, which began commercial operations in July 2017. The Sabal Trail Pipeline is a 515-mile interstate natural gas pipeline that provides more than one billion cubic feet per day of natural gas to Florida Power and Light and Duke Energy of Florida. It is part of the Southeast Market Pipelines Project, which had its certificate reinstated by FERC earlier this week.